I just got a 2008 Aspen. 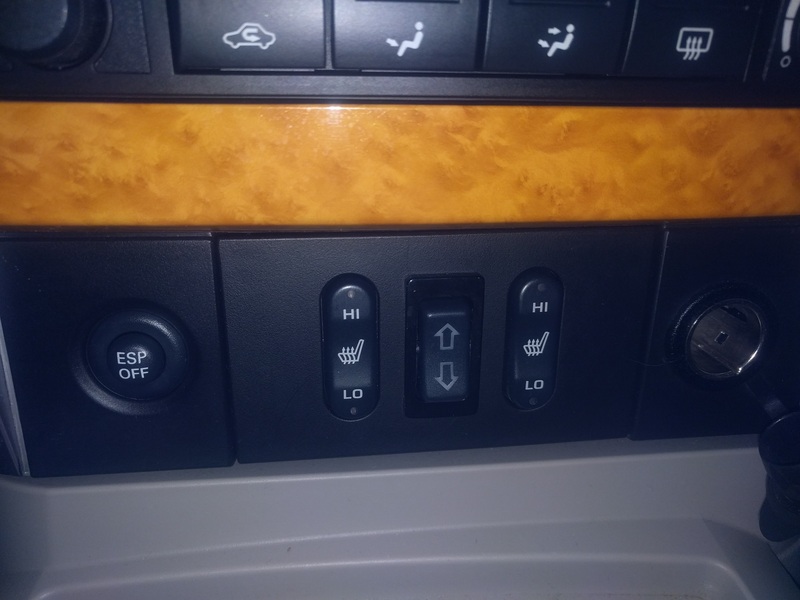 There is a 3rd party switch right between the heated seat factory switches. I can't figure out what it's used for. Anyone would have any wild guesses before I have to open the dash and start trying to trace wires ? if someone guesses right, they get a cheers award !! stupid or "out there" ideas are welcomed. Well I'd like to say it's for adjustable air bags but probably something simple like aftermarket power antenna. LOL. In any case, it looks like it moves something back and forth since it is a power window switch instead of simply on/off. air bag was one of my ideas also, however all the on board compressor system that I can find all come with a gauge which seems kind of crucial so you dont overfill the bags. Well air bags don't "require" a gauge and it's not crucial if you use a regulator on the compressor that only allows max pressure of the bags. Not usually done yes, but can be. Vehicles which have stock air bags don't use gauges. But I am curious as well to know what they used that type of switch for. Looking forward to your findings. Like the others have stated, I agree it may have been for air bags. The only other thing I can think of is a anti-theft device, a permissive switch (hold the switch up or down while turning the key) to start the vehicle. radar detector?? fuel/ign cutoff to keep her in one place??? 90 Lebaron headlight switch, any way around?